If there’s anything that I have been wrong about, it would be thinking that journaling isn’t important, and I’ll tell you why, but before I get to that I’ll give you a timeline. (I stopped doing therapy and taking my antidepressants and I had a mental breakdown on July 31) August 2016: I ended up in a psych hospital and I was told I have Borderline Personality Disorder (I started taking Welbutrin and that’s been working for me). That’s a lot to take in, if I dare say so myself, information overload about a stranger, but I want you to know that you’re not alone. The journey to understanding yourself and your pursuit of knowing who you are mentally and emotionally can get hard times, there are even instances where a professional can be wrong, but it gets better. 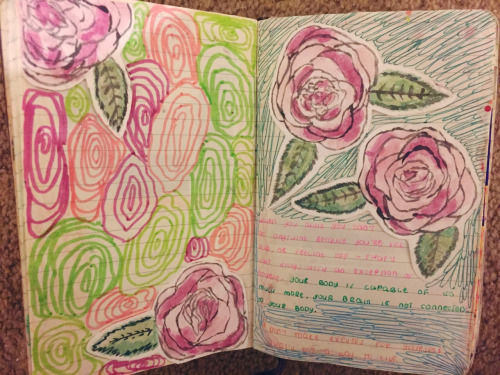 I started journaling earlier because I started taking Ambien, and it was making me have blackouts and forget everything that happened the day before. It was like how Lucy from 50 First Dates would forget, except I didn’t forget people, I just forgot what happened. 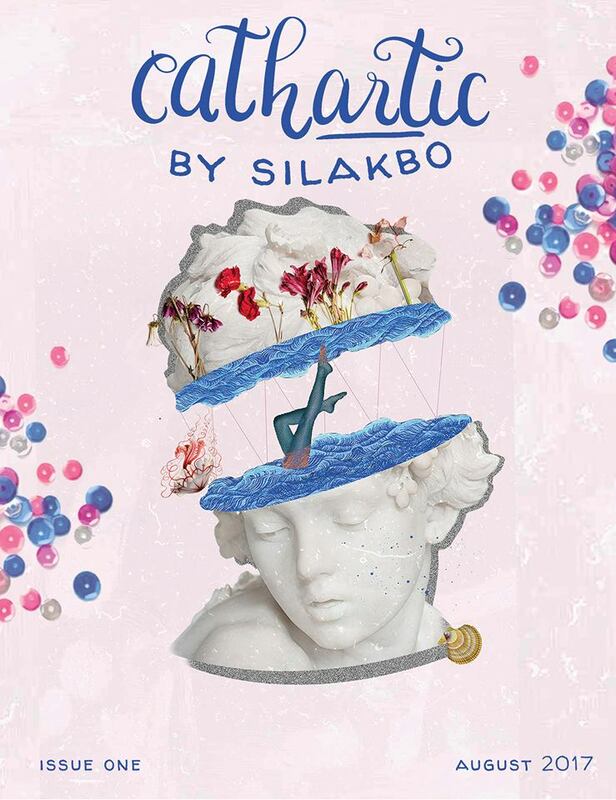 What started as a way for me to remember things later on became a habit, though I did stop for a couple of months because I started being detached. 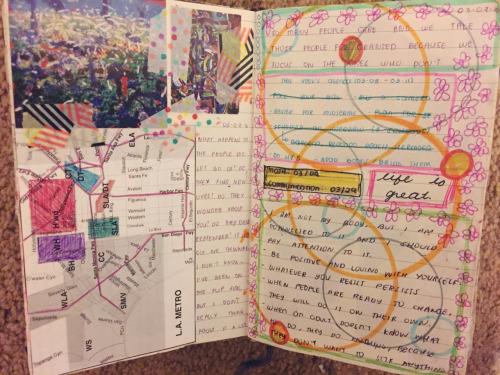 I picked back up on journaling when I was in the hospital because I wanted to do some self-reflection. 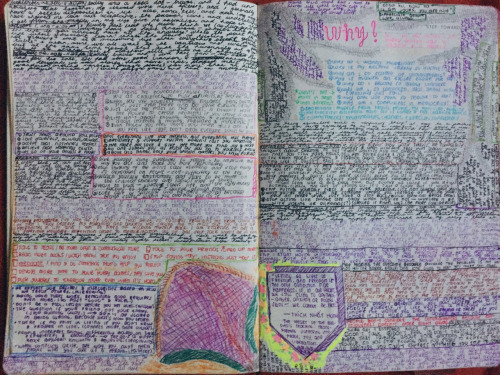 Now, journaling has become a way for me to hone in my thoughts and keep myself sane. One ultimate way it’s helped me is how it helped me recognize things that I can improve on and the things that I do wrong; talking to yourself doesn’t mean you’re crazy, it’s a really good way to know who you are and feel at peace within yourself. Mental health is such an underrated topic, but it shouldn’t be that way. I want to touch base with being in a psych hospital, seeing therapists, and going a psychiatrist – because those are often seen with a stigma. Being told I was going to a psych hospital scared me, I started sobbing in the hospital and messaging everyone close to me. On the way there, I was shaking, then when I got there I stayed in my room for the first couple of hours. Psych hospitals aren’t what the media paints it to be, there were different areas ranging from highly functional to schizophrenic. 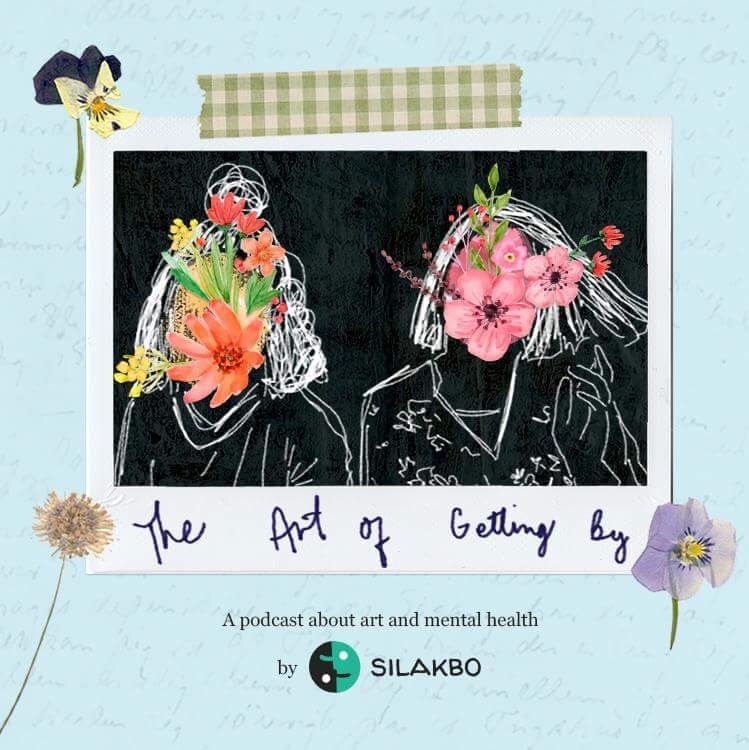 It was a way for me to meet people who went through the same things (I was in the highly functional group, all of us in there were people who attempted suicide), it was also a way for me to find resources. Seeing therapists doesn’t necessarily mean sitting on a couch and talking about your problems, it’s more of talking about your problems and then finding coping skills to help you manage things. Y’know how it’s easier to open up to a stranger because there’s no personal connection and it’ll be between the two of you? That’s how it is for me. At time it can get tedious, though it does help. And there are a lot of therapies out there, so there’s one that’s bound to fit any need. Going to a psychiatrist is basically like going to any doctor, the fear is there, yet when you’re sitting there talking about your situation that fear goes away. I can’t really elaborate on this, however, I want to say that openness with the psychiatrist will help you the most, because the doctor will only base things from what he or she knows. My aim in sharing all of this is to open up a conversation and suggest a thing that has helped me in hopes that it would help others too. 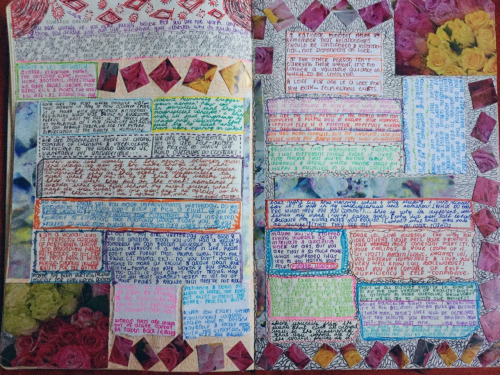 Journaling has been the biggest help for me because talking to myself was a way for me to know that I am my own best friend and I am strong enough to have control over my life, the other resources were just ways to support the work that I have started within. Above all else though and if those things I have shared isn’t your cup of tea, I’d say open up to the people around you, because there’s a high chance that you feel alone and misunderstood, but they’re there for you and people are willing to do whatever they can to help, they just don’t know what you’re going through. This is probably such an overused phrase and even Michael Jackson sang about it (Ay, ang corny ng joke ko, sorry, haha), “You are not alone” holds so much truth, remember that. Being on your own doesn’t necessarily mean loneliness, because when you start knowing yourself more, your company will be more than enough.